I'm on RNC duty for the Minnesota Independent now through Thursday, so please drop by and check out our coverage. Given the past day's flurry of police raids on protest groups, it's hard to imagine it'll be the placid affair we Twin Citizens were hoping for. To submit a story idea, news tip, photo or observation contact me directly. You can also follow us on Twitter: story tweets are at MnIndy and live coverage is at MnIndyLIVE. An outtake from my MnIndy video, this piece features Glass Bead Collective member Vlad Teichberg discussing a cultural tipping point: we're at a point when law enforcement heading to events like the RNC protests are facing off with citizens armed with camcorders and cellphone cams. One false move and they could be outed on YouTube. Artists, activists and journalists in Minneapolis held a press conference this morning decrying what they say is a trend: Local police targeting citizen journalists and artists in the weeks and days preceding the Republican National Convention. A police brutality watchdog was beaten by cops, he says, and his video camera was smashed. The members of the Glass Bead Collective were detained and their video gear confiscated, although no charges were filed. And a KSTP reporter was shoved into an elevator by police when he was trying to cover a sit-in at a HUD office. If this is law enforcement's RNC wind-up, what'll next week be like? Without provocation, Minneapolis police recently confiscated the equipment and notes of three artist/journalists who are part of New York's Glass Bead Collective, a group that documents police misconduct, legal protest activities, and the phenomenon of political conventions. Two MPD squads and a sheriff's car stopped the trio and seized their belongings without consent, taking cameras, computers and notes. No charges were filed and the three were released, but without their gear. The UpTake has must-see video of a press event with the three artists -- Vlad Teichberg, Olivia Katz and Anita Braithwaite -- and their lawyer, Minneapolis' top civil-liberties attorney, Bruce Nestor. Please spread the word! More on the police crackdown on photographers, artists and journalists. 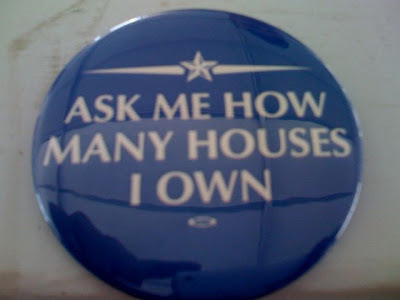 DNC buttons: "Ask me how many houses I own"
A homeless shelter 200 yards from the Republican National Convention venue will be staying open next week, which is why some homeless feel like the city of St. Paul is trying to hide them from public view, either behind black tarps or in jail. MnIndy's Steve Perry and I met with residents of the Dorothy Day Center yesterday to hear their concerns. The four-day RNC has a $50 million budget; the Dorothy Day Center, run by Catholic Charities, spends $35 million in an entire year. Coming to the RNC? Got a tip for me? Get in touch with me (see "Connect" in right sidebar). Peaceful protesters trapped by riot police in Denver. Is St. Paul next? I hope to God this doesn't happen in St. Paul next week: Last night in Denver, peaceful protesters were trapped by riot police and targeted with paintballs and teargas, according to the American News Project. The Republicans are likely to draw even more protesters than the Dems, and if you've been to St. Paul, you know that the topography -- hills, a bluff, the river, some walled roads near the RNC venue -- could add to the chaos. Let's hope things stay relatively calm. 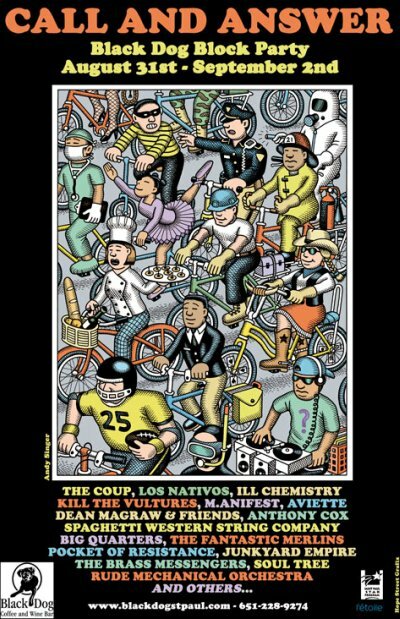 Black Dog Coffeeshop in St. Paul hosts The Coup, Los Nativos, the Rude Mechanicals Orchestra for a block party in Lowertown, near the RNC, Aug. 31-Sept. 2. 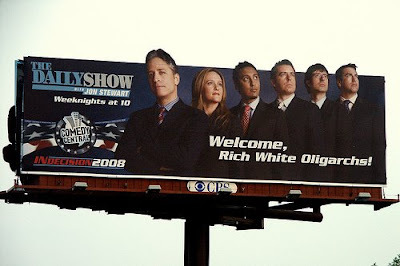 RNC billboard: "Welcome, rich white oligarchs!" For The Daily Show, which is recording a few shows in Minneapolis-St. Paul during the Republican National Convention. Via East-Lake. 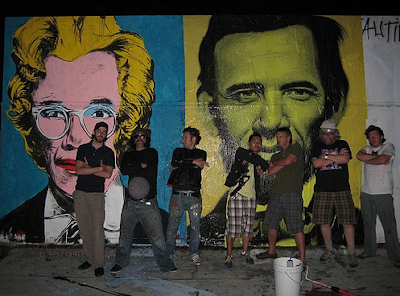 Barry Hoggard of Culture Pundits tweets that the founder of Graffiti Research Lab (GRL) was detained in Beijing for his plans to use GRL's projectors to cast the phrase "Free Tibet" on city walls. An American artist who planned to use laser beams to flash "free Tibet" on buildings in downtown Beijing was detained Tuesday, according to a colleague and a pro-Tibet group. 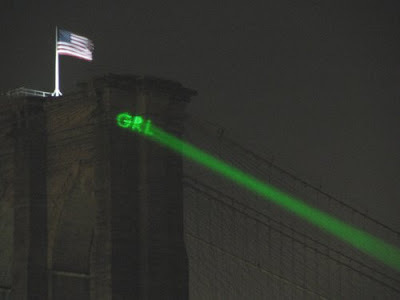 James Powderly, co-founder of Graffiti Research Lab in New York, was detained before dawn as he prepared to use a handheld green laser to project messages on prominent structures in Beijing, according to Students for a Free Tibet. Mr. Powderly's colleague, Nathan Dorjee, said in New York that he received a text message from the artist which said he had been detained around 3 a.m. by police. Officials at Beijing's Municipal Publicity Security Bureau did not answer phone calls Tuesday night. His whereabouts remained unknown, the group said. Two weeks in front of the Republican National Convention, graffiti playing with the acronym G.O.P. is beginning to appear in the Twin Cities. 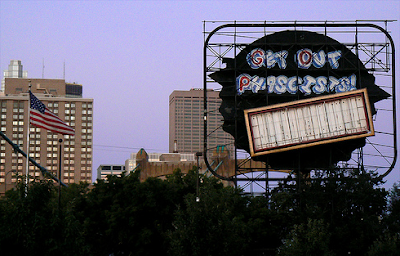 The first showed up on the back of the iconic Grain Belt bottle-cap sign on Hennepin Avenue in Minneapolis, but others are cropping up elsewhere. 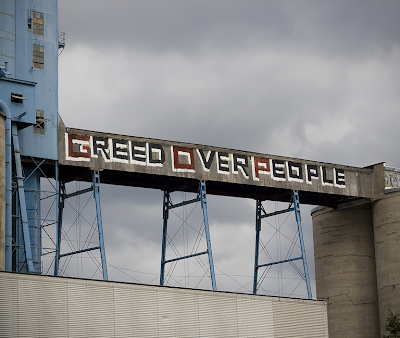 "Greed Over People" in huge block letters appeared at a grain processing facility along Hiawatha Avenue, while the same message as the Grain Belt sign -- "Get Out Phascists" -- showed up elsewhere.. KSTP puts clean-up of the above piece at around $3,000. 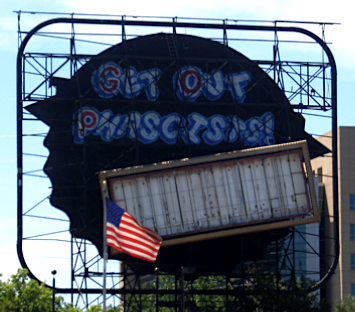 Note: As commenters at MnIndy decry any straight-news presentation on this graffiti as "glorifying" the act, a disclaimer: application of graffiti is illegal and should be in no way glorified. 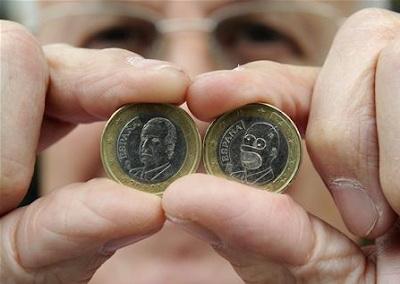 ...Jose Martinez was counting the cash in his till in the city of Aviles, northern Spain, when he came across the coin where Homer [Simpson]'s bald head, big eyes and big nose had replaced the serious features of King Juan Carlos. The comical carver had not taken his tools to the other side of the coin displaying the map of Europe. So far, no other coins of the hapless, beer-swilling oaf have been found in circulation. "I've been offered 20 euros for it," said Martinez. 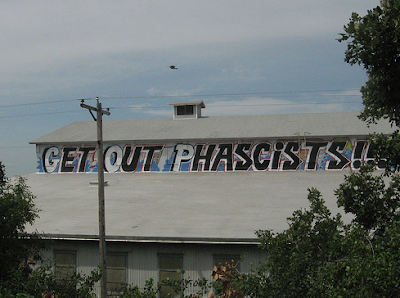 My cohort Chris reports on the first big anti-RNC graffito he's seen in Minneapolis-St.Paul: on the back of our iconic Grain Belt Beer sign on the Hennepin Avenue bridge, there's a new tag that reads, "Get Out Phascists." BEIJING -- The blocking of human rights websites in China leading up to the Olympics is part of an information control and surveillance network awaiting visitors that will include monitoring devices in hotels and taxis and snoops almost everywhere. Government agents or their proxies are suspected of stepping up cyber-attacks on overseas Tibetan, human rights and press freedom groups and the banned Falun Gong spiritual movement in recent weeks. And China is spending huge sums on sophisticated surveillance systems that incorporate face recognition technology, biometrics and massive databases to help control the population. China has installed about 300,000 cameras in Beijing under an estimated $6.5-billion, seven-year program dubbed the Grand Beijing Safeguard Sphere. Although face recognition software still can't process rapidly moving images, China hopes that it can soon electronically identify faces out of a vast crowd. "China is trying to project a picture and a narrative about the Olympics," said Nicholas Bequelin, Hong Kong-based researcher with Human Rights Watch. "By limiting journalists, shutting down the Internet, arresting activists, it's hoping to control the message." Athletic Activism: With Cheek banned from China, will other Olympians step up? Apparently in an attempt to silence a critic, China has revoked the visa of Olympic gold-medal-winning American speedskater Joey Cheek just hours before he was to board a flight to the Summer Games in Beijing. The co-founder of the awareness-raising organization Team Darfur, Cheek has been outspoken about China's relationship with Sudan, where the Beijing government has many oil-related interests (China is Sudan's largest trading partner). And one of his aims, the AP reports, was in urging the international community to pressure Sudan -- where some 200,000 people have been killed in a conflict between tribesmembers and government-backed janjaweed militants -- to observe a traditional truce during the Beijing Games. After winning his medal at the Torino games, he donated his $25,000 U.S. Olympic Committee bonus to Team Darfur. In a statement, Cheek said he was saddened to be prevented from attending. "The Olympic Games represent something powerful: that people can come together from around the world and do things that no one thought were possible," he said. "However, the denial of my visa is a part of a systemic effort by the Chinese government to coerce and threaten athletes who are speaking out on behalf of the innocent people of Darfur." China's actions come just as the games are to begin -- and as excitement over the competition seemed to finally be overtaking criticisms over everything from China's record on free speech, press freedom, its violent suppression of Tibetan dissidents and its environmental record. But perhaps Cheeks' story will motivate activism among athletes. A website called Athlete Wanted is looking for a games participant to make a political statement about Tibet. The site, run by Students for a Free Tibet, references the image of 1968 American medalists Tommie Smith and John Carlos, who raised their fists on the podium in a variation on the traditional Black Power salute. Suggestions by the Athlete Wanted campaign: fly a Tibetan flag, wear a Tibetan khata (scarf) or a Rangzen bracelet, or shave your head in solidarity with the country's Buddhist monks and nuns. 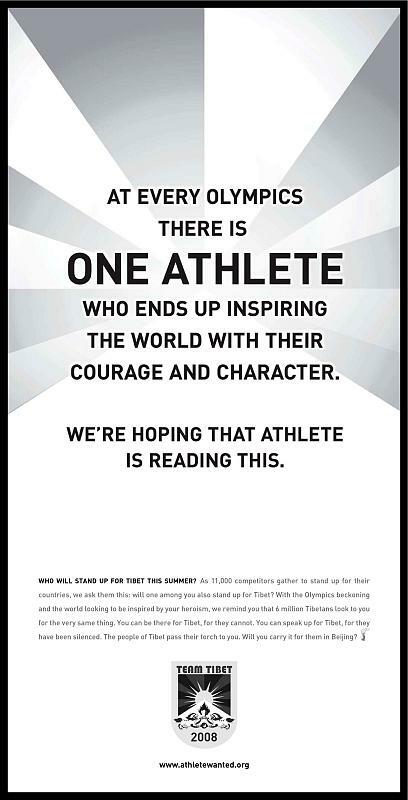 The campaign ran an ad in the New York Times on July 29. That paper ran a story back in April about Olympians who are concerned about China's interests in Darfur. One, softball player Jessica Mendoza, told the Times, "I feel like there’s no one out there who would think that it’s a controversial issue to talk about 400,000 people being killed in Darfur right now." But she said she won't say anything, both out of concern for offending her Chinese hosts and because one of her sponsors, Nike, has a major presence in the country. Perhaps Mendoza, who's also a part of Team Darfur, will change her stance now that Cheek has been banned from traveling to China, but if she does, she and other athletes face recriminations from the Olympic Committee. Article 51 of the Olympic charter bans “demonstration or political, religious or racial propaganda” by athletes at Olympic events. 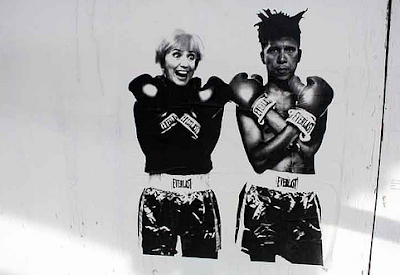 Carlos and Smith, of the 1968 Mexico City games, were suspended from the U.S. team and eventually removed from the Games. 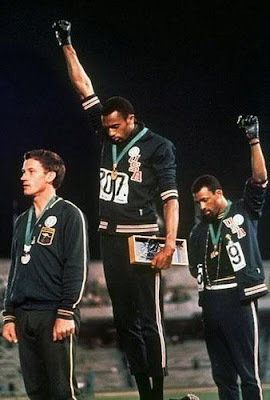 Related: The BBC offers a history of Olympic protest. My first video for MnIndy's "RNC DIY" series focuses on the F30 Pedal Cloud, an 11-person bike made from scavenged parts from cars and bikes.